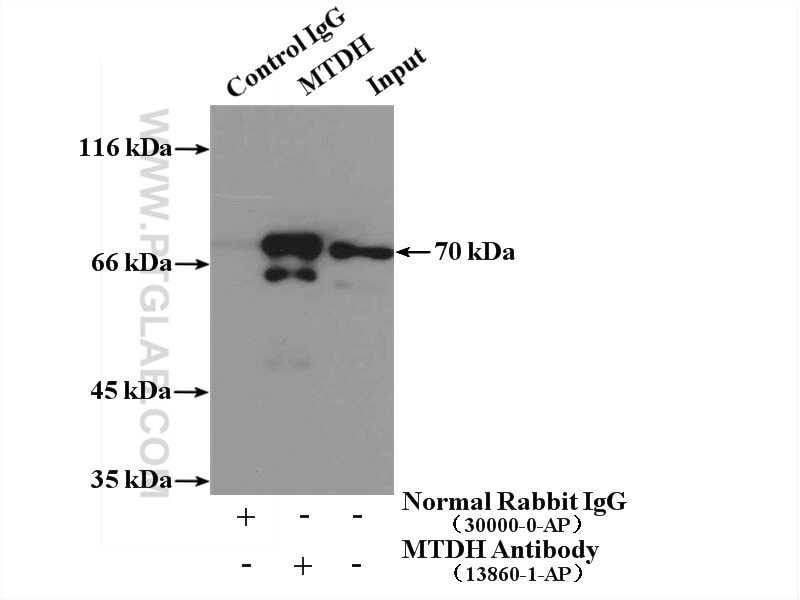 WB result of AEG-1/MTDH antibody (13860-1-AP, 1:2000) with si-Control and si-MTDH transfected A549 cells. 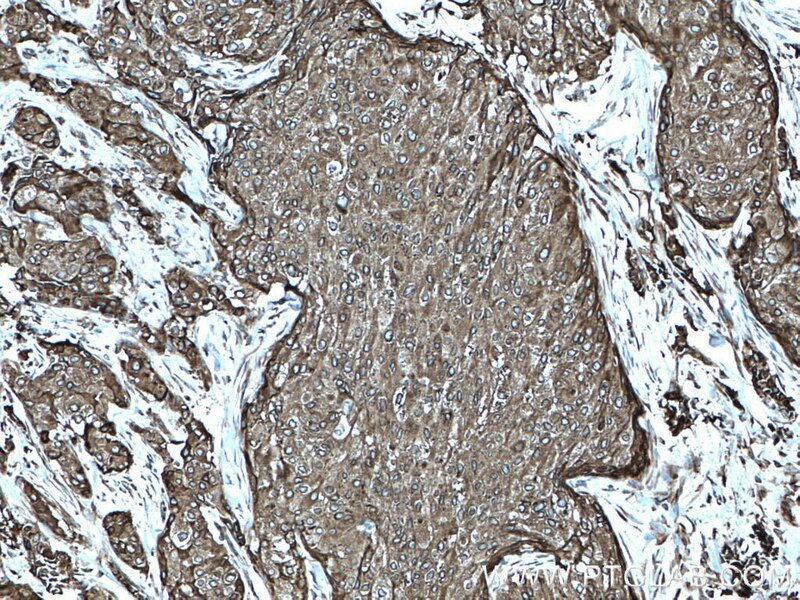 Immunohistochemical analysis of paraffin-embedded human breast cancer tissue slide using 13860-1-AP (AEG-1/MTDH-Specific antibody) at dilution of 1:200 (under 10x lens) heat mediated antigen retrieved with Tris-EDTA buffer(pH9). 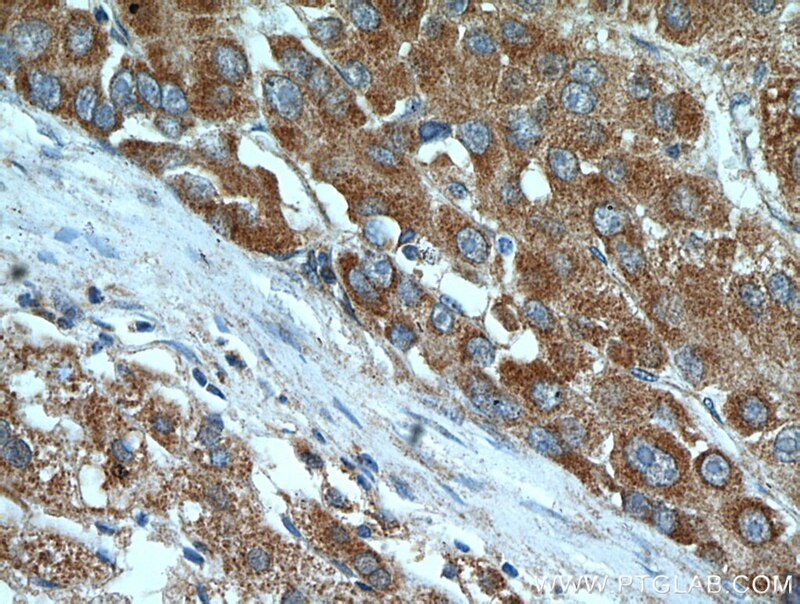 Immunohistochemical analysis of paraffin-embedded human breast cancer tissue slide using 13860-1-AP (AEG-1/MTDH-Specific antibody) at dilution of 1:200 (under 40x lens) heat mediated antigen retrieved with Tris-EDTA buffer(pH9). 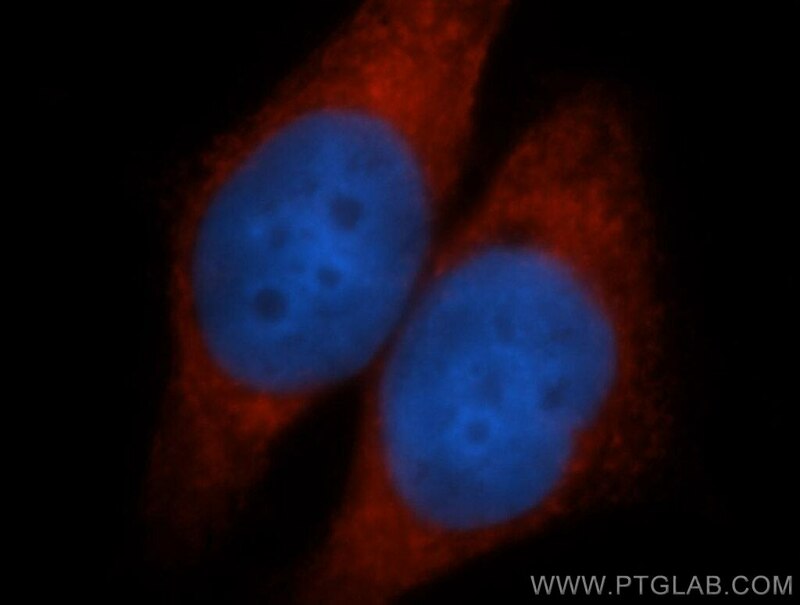 Immunofluorescent analysis of MCF-7 cells, using MTDH antibody 13860-1-AP at 1:50 dilution and Rhodamine-labeled goat anti-rabbit IgG (red). Blue pseudocolor = DAPI (fluorescent DNA dye). 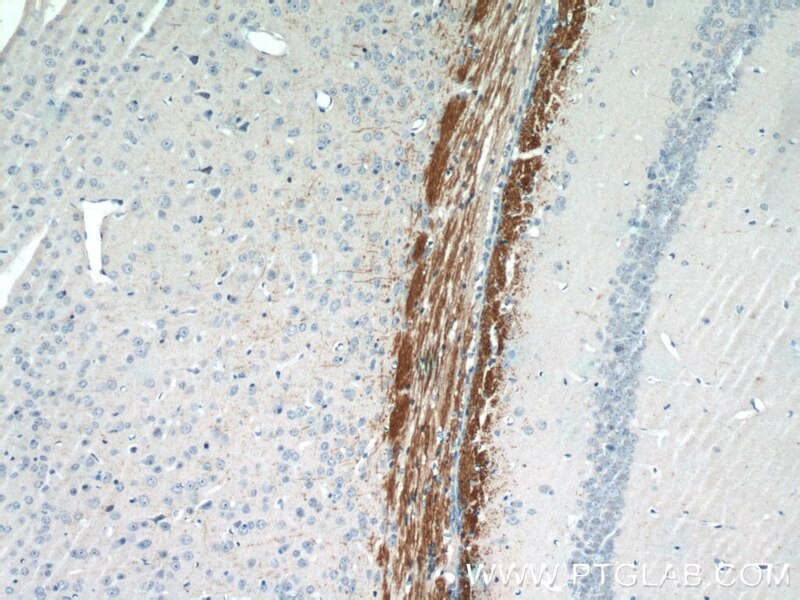 IP Result of anti-AEG-1/MTDH-Specific (IP:13860-1-AP, 3ug; Detection:13860-1-AP 1:1000) with MCF-7 cells lysate 3250ug. 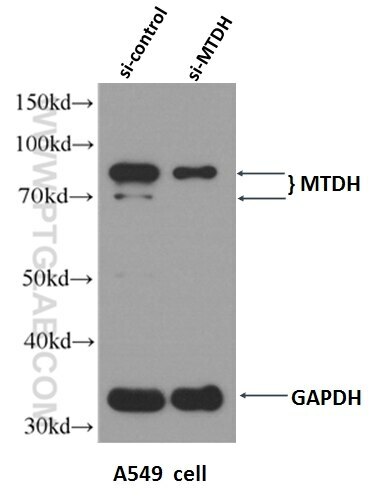 MTDH, also known as AEG-1, is a single-pass transmembrane protein with its gene located at chromosome 8q22 , the abnormalities of which have been identified in several tumor types. MTDH is overexpressed in a number of malignancies, such as breast cancer, malignant glioma, and neuroblastoma , and its overexpression is associated with poor clinical outcome. 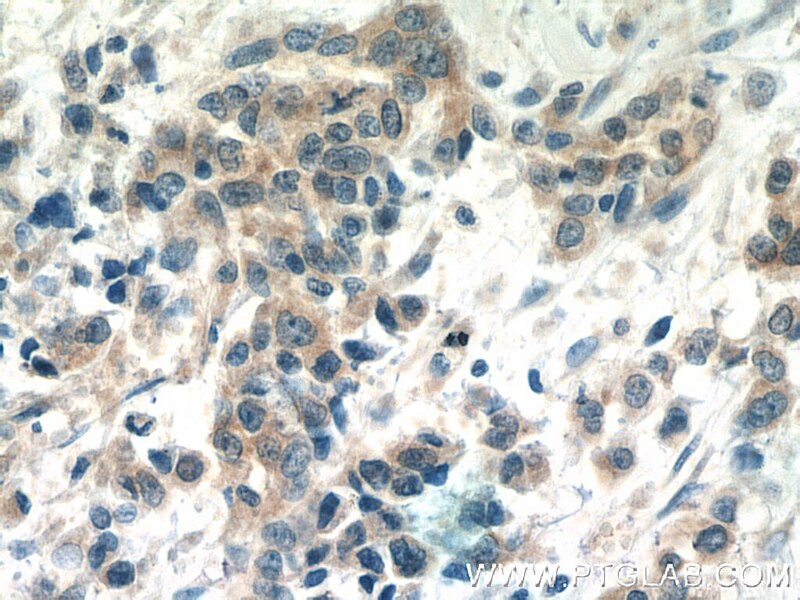 MTDH plays an important role in the regulation of carcinogenesis and tumor progression. This antibody got two bands about 70 kDa and 80 kDa in western blotting, possibly due to posttranslational modification. 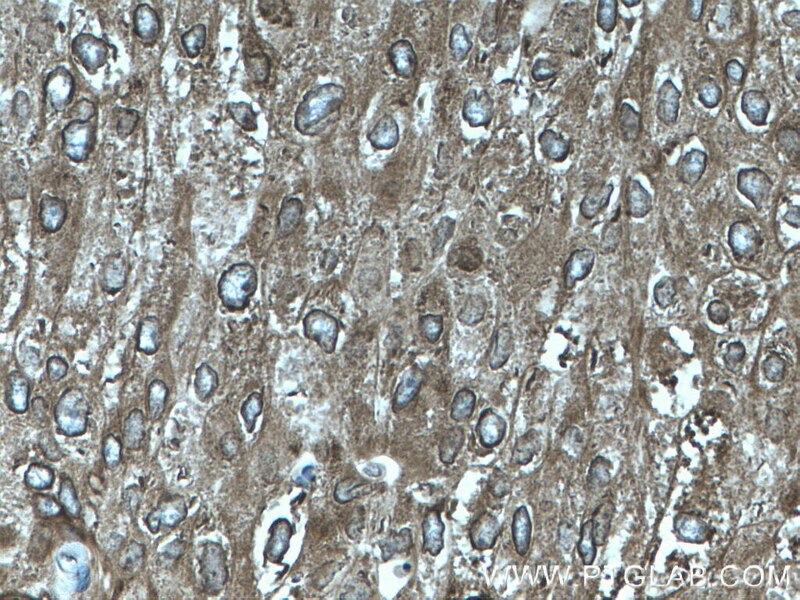 This antibody is specific to AEG-1/MTDH. Metadherin regulates metastasis of squamous cell carcinoma of the head and neck via AKT signalling pathway-mediated epithelial-mesenchymal transition. 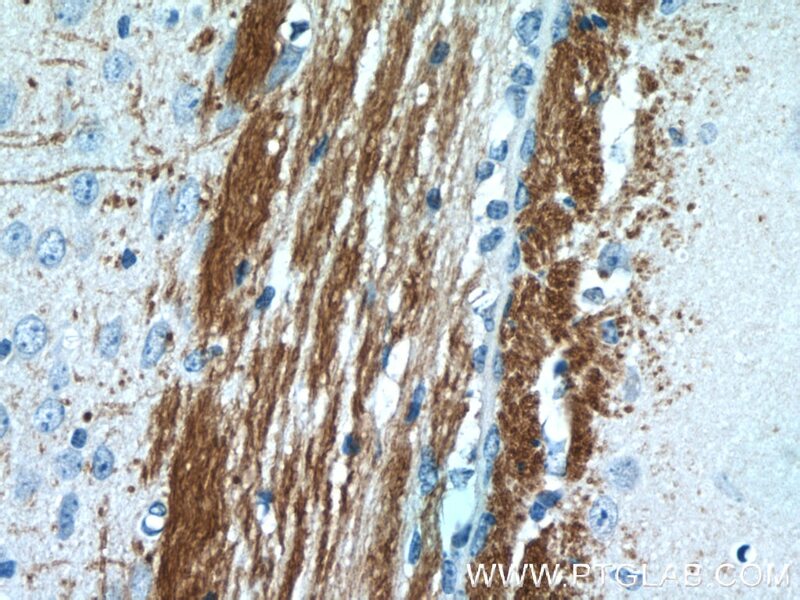 Upregulation of AEG-1 Involves in Schwann Cell Proliferation and Migration After Sciatic Nerve Crush. 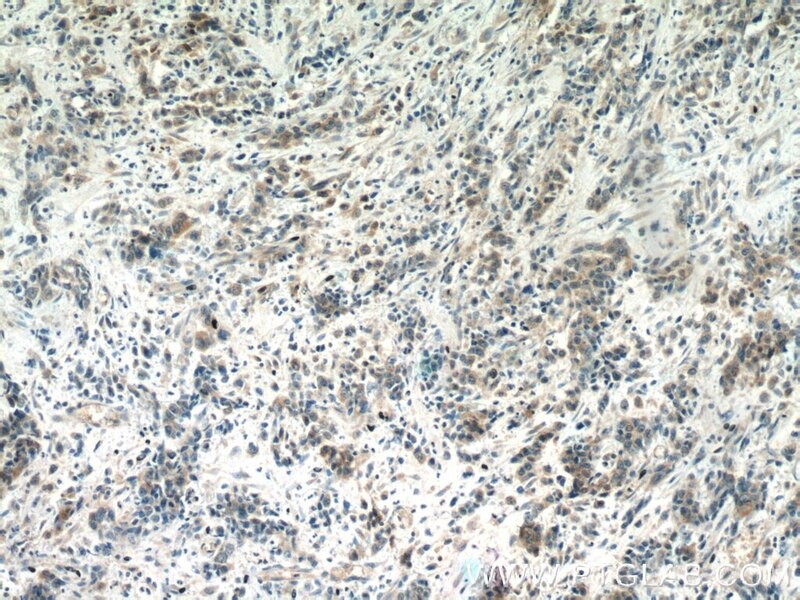 Knockdown of astrocyte elevated gene-1 inhibited cell growth and induced apoptosis and suppressed invasion in ovarian cancer cells. AEG-1/MTDH-activated autophagy enhances human malignant glioma susceptibility to TGF-β1-triggered epithelial-mesenchymal transition. Depletion of astrocyte elevated gene-1 suppresses tumorigenesis through inhibition of Akt activity in bladder cancer cells. 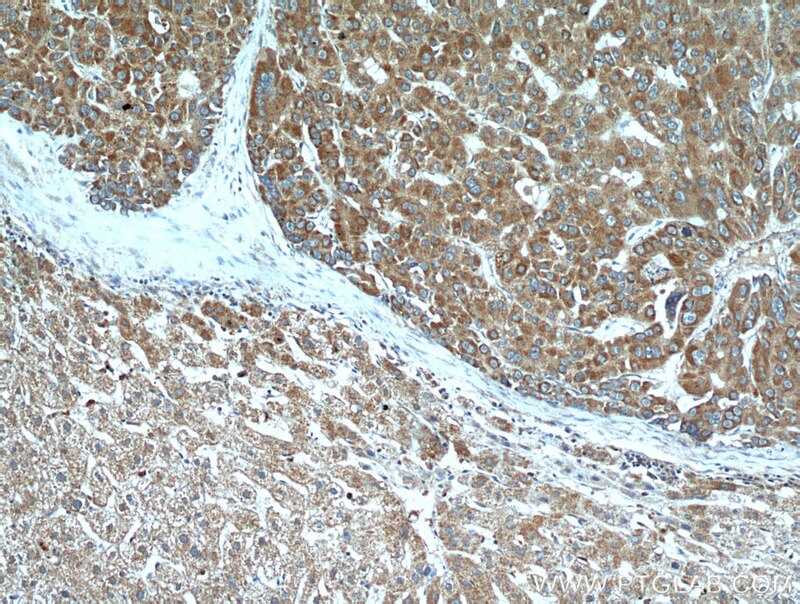 Silencing of Astrocyte elevated gene-1 (AEG-1) inhibits proliferation, migration and invasion, and promotes apoptosis in pancreatic cancer cells.